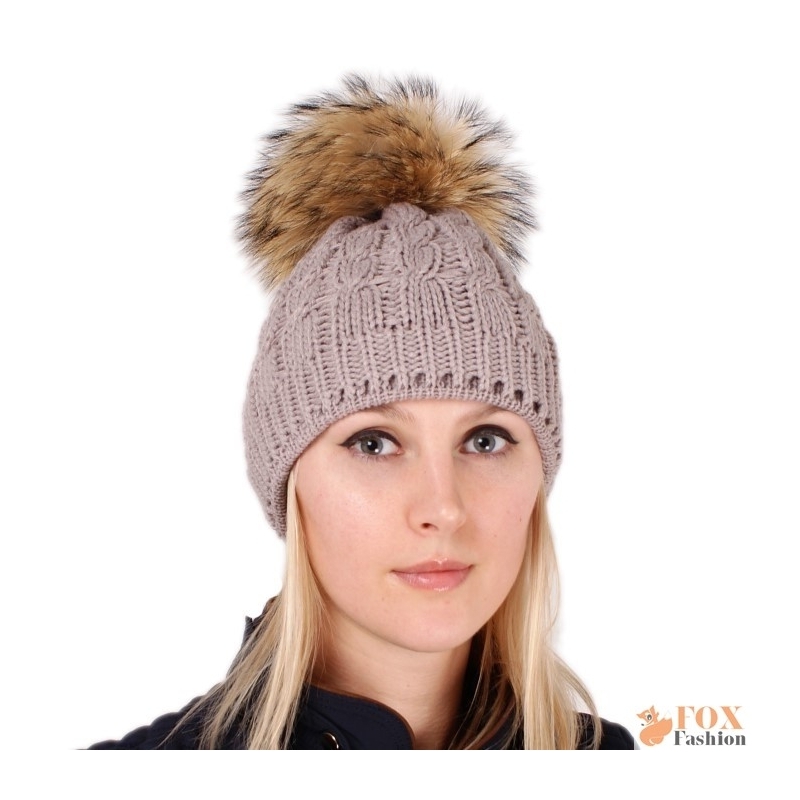 Stylish and charming ladies beige wool hat with fur pom pom. 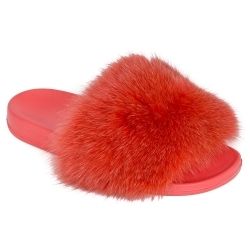 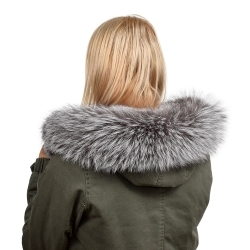 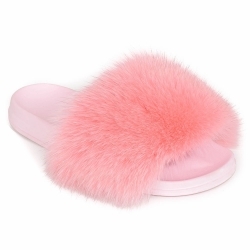 The pom pom is made of high quality genuine raccoon fur and is attached to the cap with a snap fastener. 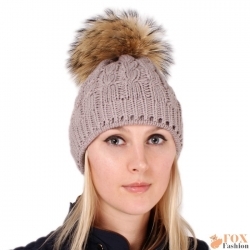 Beige wool cap is manufactured in Poland.